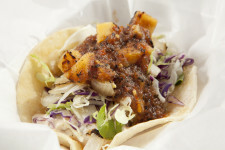 Serving Ventura County since 2010, Beach House Tacos isn’t your ordinary taco shack. With a unique twist to seafood by the sea we strive to always offer fresh, local ingredients with quality food at a reasonable price. Located directly on the Ventura Pier our casual outdoor patio is the perfect place to kick back and watch the waves. With a local brew in one hand and taco in the other it feels as if the summer never ends here at Beach House Tacos.